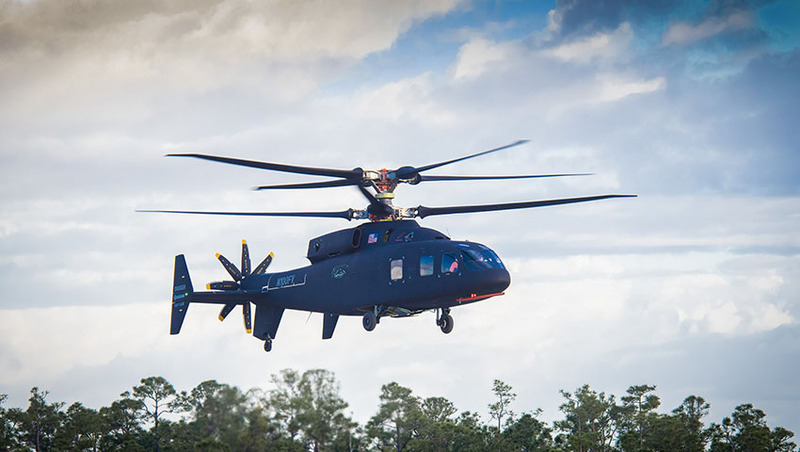 Sikorsky and partner Boeing have celebrated the first successful flight of the DEFIANT helicopter as part of the next generation Future Vertical Lift program. As Australia’s responsibilities in the region continue to evolve, Lockheed Martin, Sikorksy and Boeing have geared up to present the Future Vertical Lift (FVL) capability to support the ADF, with the first successful flight of the DEFIANT helicopter system. JMR-Ultra: New ultra-sized version for vertical lift aircraft with performance similar to fixed-wing tactical transport aircraft, such as the C-130J Super Hercules, with introduction planned for 2025. Dan Spoor, vice president of Sikorsky Future Vertical Lift, welcomed the milestone, saying, "DEFIANT is designed to fly at nearly twice the speed and has twice the range of conventional helicopters while retaining the very best, if not better, low-speed and hover performance of conventional helicopters. "This design provides for exceptional performance in the objective area, where potential enemy activity places a premium on manoeuvrability, survivability and flexibility. We are thrilled with the results of today's flight and look forward to an exciting flight test program." The DEFIANT is a next-generation medium tactical lift prototype helicopter, capable of carrying up to 12 soldiers and four aircrew. Both aircraft utilise the proprietary X-2 counter-rotating coaxial main rotors and pusher propeller system, designed by Lockheed Martin subsidiary Sikorsky, which provides improved range, speed and payload for both platforms. DEFIANT represents a leap forward in technology to achieve the US government's desire for vast increases in speed and range, while improving manoeuvrability and survivability in a cost-effective way. DEFIANT aircraft's use of trademarked X2 Technology will allow the Army to penetrate from strategic standoff and exploit gaps created in complex anti-access area denial systems against near-peer adversaries. "The design and development of DEFIANT has revealed the capability advancement that is truly possible for Future Vertical Lift. Clearly, the performance, speed, and agility of DEFIANT will be a game changer on the battlefield and we look forward to demonstrating for the US Army the tremendous capabilities of this aircraft," said David Koopersmith, vice president and general manager, Boeing Vertical Lift. Sikorsky and Boeing have designed the SB>1 DEFIANT to provide the right combination of speed, lift and range that are paramount to both the assault and attack missions while increasing overall manoeuvrability and agility. Developed with 85 per cent commonality between attack and assault aircraft, the DEFIANT will reduce development and life cycle costs and ensure minimal disruption or loss of existing rotorcraft expertise. Its open mission systems architecture allows rapid technology and capability insertion to meet evolving FVL requirements and provide the US military with evolutionary sustainability, affordability and readiness for years to come. Neale Prescott, director of business development at Lockheed Martin Rotary Mission Systems, told Defence Connect, "The first flight of the Sikorsky-Boeing SB>1 DEFIANT helicopter is an exciting milestone, not just for the revolutionary leap in rotary wing technology it represents, but because it was a first glimpse of what might one day be an Australian Defence Force capability." The aircraft’s capabilities are largely derived from the X-2 rigid co-axial rotor system, which has already proven its airworthiness through flights of the X-2 and S-97 Raider. With two coaxial rotors on top that rotate in opposite directions, the extra lift from each rotor’s advancing blade balances out the diminished lift from the opposite side’s retreating blade to eliminate retreating blade stall. "The ADF has a strong track record of operating Sikorsky products across both land and maritime domains. DEFIANT will be ready at the time when Australia will have a need for a new vertical lift capability with what we anticipate will be similar characteristics to the US program in terms of range, speed and payload," Prescott added. As Australia's role in the region continues to evolve, particularly in increasingly contested, congested and challenging environments, major ADF expeditionary platforms like the Navy's LHDs become increasingly vulnerable. Both Raider and DEFIANT, through increased capability, serve to enhance tactical and strategic capabilities available to the ADF.